Expat life can be a wild ride filled with fun, laughs, adventure, good times and perhaps most of all – challenge. It’s guaranteed to push you out of your comfort zone, confront you with your own shortcomings and force you to grow in ways you hadn’t expected. I realise now in hindsight how naïve I was coming into the whole experience six years ago when we embarked on our expat journey. 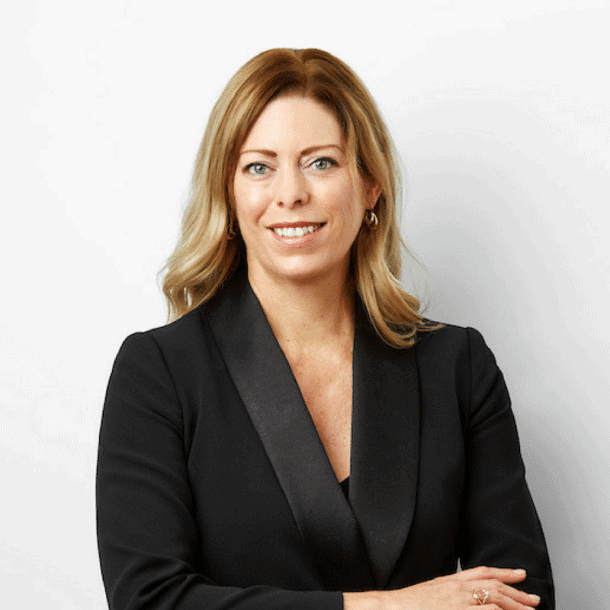 It would have been helpful to get some advice from a seasoned expat wife beforehand, hence my reason for writing this letter (below), in the hope that my words might help other women setting out on their new adventure. I’ve travelled extensively throughout my life and lived and worked in several different countries, including Paraguay, the USA, Italy, the UK and The Netherlands. So it’s not that living overseas is new to me. 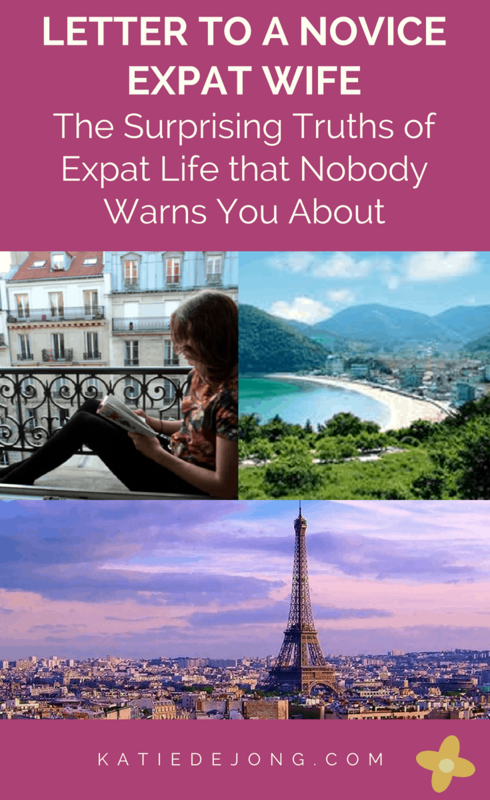 But being an ‘expat’ is …. different … for reasons I’ll explain. 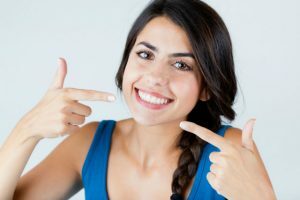 Expat experiences vary greatly and it seems the kind of experience you have depends very much on the company your family is relocating with and the size of the project. We left Australia six years ago for our expat adventure involving two years in Paris, France followed by four years in Geoje, South Korea. Our first two years in Paris were very different to the past four years in Korea, not only because the countries are so different but because in Paris the project was still in the design phase and therefore the foreign staffing requirements were much smaller. The work was being done predominantly by French staff with a small number of expats like ourselves. We found a rental apartment in central Paris and set about immersing ourselves in French life, language and culture, grateful for the opportunity to experience French life firsthand. In Korea, the project moved into its construction phase and hundreds of expats were brought in to complete the mammoth project. To provide enough accommodation for all the foreign employees and their families, the company had no choice but to rent out whole apartment blocks in Geoje. As a result, it’s felt at times like living in an expat bubble on the fringes of Korean society, in a microcosm of the United Nations together with families from all different cultures and nationalities. At times you could even forget you’re in Korea, until you go into town to do the grocery shopping and remember that you can’t read the packaging on anything and often have to guess what you’re buying, you can’t ask questions or communicate with shop staff and can’t read any of the signposts (challenging when there’s big red letters and you don’t know what they mean!). While all this can be overwhelming at first and you feel like a fish out of water, it gets easier with time as you adapt and adjust. The opportunity to live as an expat is truly a privilege. You’re able to experience another way of life, travel to countries you might otherwise never visit, make friends with people from all over the world and expose your children to a truly international community at a young age, helping them cultivate understanding, compassion, and inclusivity. And yet as an ‘expat wife’, things are particularly challenging. I must admit I don’t like that label; like so many women these days I’ve always taken great pride in having my own independence, my own career and my own salary. And yet when you choose to temporarily leave your career to follow your husband’s work, ‘expat wife’ inevitably becomes your new identity. Many families choose to be expats at a time in life when the children are young and more flexible with schooling, and the wife is either happy to take some time off to care for the children full time, take some time away from her career to complete studies in a new direction or work from home (which is becoming more prevalent in this digital world). In some cases the wives are fortunate to be able to work on local projects too, if their skills match a project need. In a few rare cases, it’s the husband who moves overseas for the wife’s job and takes on the primary child-carer role, however they’re definitely the rare minority (yes gender roles are still very traditional in this demographic). Due to the difficulty of communicating with the locals, it’s very difficult (if not impossible) to integrate into local society or expand your social circles beyond the expat community. Your life becomes inextricably intertwined with the other expats. Congratulations on your decision to embark on your expat journey! What a wonderful decision you’ve made for you and your family. You have an exciting adventure ahead, one where you’ll get to discover a new culture and way of life, meet people from all different nationalities and backgrounds and expose your children to a beautiful international community with different cultures and lifestyles. It’s a unique and rare opportunity; an experience that I know you’ll treasure forever. You will learn a lot, possibly more than you bargained for. It will test you in ways you probably couldn’t have imagined. You may experience not just wonderful highs but perhaps many deep lows as well. And that’s the part nobody tells you about before you leave. When you move overseas, you leave all your friends and family behind. And because we’re social beings, it’s in our nature to want to find new friends quickly. When you arrive in the community, there’ll be many different social circles forming or already operating. Try to float among different groups and activities in the beginning. You’ll perhaps feel an enormous urge to fit into one of them as soon as possible, but try to resist that temptation. It will become apparent over time who your people are. Just be patient, friendly and approachable and start getting to know the people around you. If someone invites you over for a coffee or lunch and it feels right, be sure to go along. But don’t divulge too much too soon and keep your guard up politely until you’ve had a chance to get to know them properly. It takes time to build trust and intimacy in friendships. 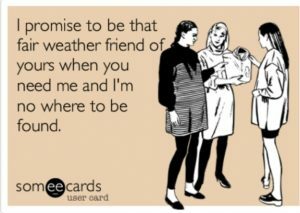 Friendships often form (too) quickly in the expat environment. You can end up sharing your lives at a very intimate and personal level without having had the chance to get to know each other. It’s in my nature to be very open and I’ve had to learn the hard way that it’s important to build trust first before you open your thoughts and heart to someone. As you float among different groups and people, be observant and try to get an understanding of the different groups out there and who’s included in them. In this phase, be sure to listen to your gut and trust your intuition. Don’t ignore those little alarm bells in your head for the sake of trying to fit in somewhere. If you have an ‘off’ feeling with anyone, be sure to listen to it. Don’t judge them for it and cut them off, because sometimes our judgments can be wrong, but be extra vigilant. Don’t share anything too personal before you’ve taken the time to get to know the people around you. The expat community would make an interesting study in human psychology, because when a group of strangers ends up living together, working together and socialising together, it creates an unnaturally intense social situation, and well – strange things can happen. When social situations become stressed, it’s natural that our insecurities surface and we fall into default coping strategies. As women. we often unconsciously play out a certain ‘role’. 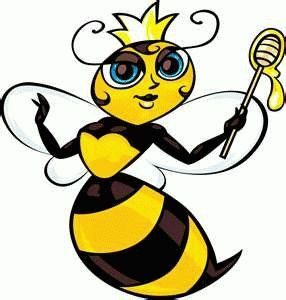 The Queen Bee likes to be at the centre of social circles and control who is included and not included. They’re often the ones organising many events and get-togethers as they thrive on social influence and control. They demand loyalty and respect and will do anything to get it, even if it means spreading untruths about others. While they’re charming and often very social extroverts, just be careful as they can have a nasty sting if you upset them or threaten their position somehow. The charmer can appear seemingly out of nowhere, suddenly showing a lot of interest in you and wanting to spend lots of time with you. They’ve seen something they like about you and decided they want to befriend you. Although it’s very flattering and feels great to our humble little egos, just be careful. Charmers can reel you in with abundant attention, affection, and kindness, and then drop you like a hot potato when you don’t live up to their expectations or someone better comes along. This is hard because they made you feel special and it hurts when they move on. You might end up wondering what you did or what’s wrong with you and beat yourself up. But chances are the flattery caught you off guard and you didn’t have appropriate boundaries in place. Remember, it takes time to build genuine friendships and as tempting as it is, be sure to take your time to get to know someone before you open your life and heart to them. Unfortunately, the intensity of the social scene in the expat environment can heighten the insecurities of many women. You might unknowingly trigger jealousy and resentment in certain people and find yourself suddenly on the receiving end of passive aggression. It’s confusing and upsetting when someone is lovely, smiling and friendly to your face and then you find out later they’ve been quietly assassinating your character behind your back, especially if it’s someone you considered a friend and it’s completely unexpected. This is another reason why you must form friendships slowly and carefully. Often in the expat situation, people end up unknowingly getting drawn into conflicts that cause all kinds of drama and tension they hadn’t expected. In future, they might try to avoid conflict at all cost, which means they won’t stick around if you find yourself unwillingly drawn into a conflict yourself. If you end up going through a challenging situation and turn to your friend for help, you might find they’re not there for you. This can be very disappointing if it’s someone you thought was a good friend. However, remember that in the challenging expat social environment, people go into survival mode and will do everything they can to protect themselves. You even might find yourself doing the same in future (I know I have to some extent). While of course, it’s painful to realise you can’t rely on a friend in a time of need, just use it as an indication that this person might not be friendship material in the long term and remember to build your friendships slowly. One of the hardest lessons I’ve had to learn on my expat journey is that it doesn’t pay to stand up to what you perceive as bad behaviour. While you may feel noble, indignant and a little self-righteous in confronting someone for how they’ve treated you or someone else, it never pans out well. They’ll probably vehemently deny what you’re calling them out on, tell all their friends how unreasonable you’ve been, and then target their hostility towards you instead. 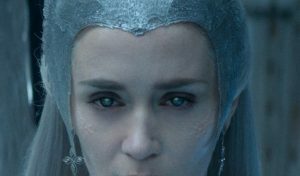 They might turn into the Ice Queen, openly ignoring you at every opportunity, throwing you ice daggers with their eyes and perhaps even turning others against you in an attempt to isolate you. If you see someone behaving badly, just take note and keep a safe distance. You can always show your support for the person who’s being treated badly by meeting with them privately and telling them you’re there for them if they need you. But otherwise, avoid confrontation and retreat. 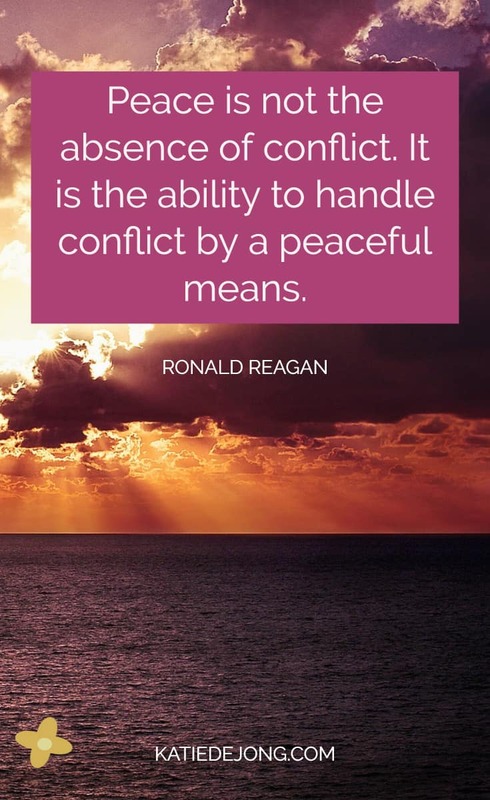 It can be very challenging if your child is involved in a conflict of some kind and you have to deal with a mother whose child is never to blame. Most of us know conflicts arise between children as a natural part of growing up, and sometimes our child’s to blame and sometimes it’s the other child. Or sometimes it’s just a misunderstanding and no one’s to blame at all. But if a situation arises where your child is very upset and you try to talk to the other mother about it, you might be confronted with the default position of “My child is never in the wrong” (perhaps not in those words). There’s no opening for discussion, your child will be given the blame and you might even be labeled a bad parent. I’ve seen many a friendship break up because of this type of conflict and it’s sad when mothers let this ruin an otherwise good friendship. Again it’s particularly hard when it happens with someone you thought you could count on as a friend. And of course, there will be many genuine, truly lovely people who don’t have an insecure or unkind bone in their body and are just fun, beautiful people to be around. They will be the ones who take delight in building you up and encouraging you to follow your dreams, not tearing you down. Those are the keepers. Remember that it takes time to find your ‘people’. Resist the urge to rush into friendships. You can let your guard down once you’ve gotten to know people over time and they’ve proven themselves trustworthy to you. Trust your intuition and simply retreat from anyone that feels out of alignment. Surround yourself with people who make you feel good about yourself and especially those whose eyes light up when you talk of your goals and aspirations. Some women will take delight in building you up and encouraging you, while others might feel threatened. Things are not always as they seem and you never know what’s going on in someone else’s life. Never make assumptions and always take everything you hear with a very large grain of salt. In small expat communities where everyone knows everyone, gossip is sadly inevitable. It usually gets embellished with small (sometimes large) untruths that the person at the centre of the gossip has no chance of denying or defending. This can be very damaging to their integrity and reputation. As tempting as it can be at times, never engage in gossip. If someone starts talking negatively about someone else, just smile politely and make an excuse to move away. If you hear something bad about someone else, reserve your judgment. There are always two sides to a story. Resist the temptation to believe what you hear about someone else and continue to give the person the benefit of the doubt. It’s not fair to treat them differently, because you have no way of knowing whether what you heard is true (it probably isn’t). If you’re the target of gossip yourself, hold your head high and let it go. As painful as it is, you’re often not in control of your own reputation in small expat communities. If people decide to spread untruths about you, there’s sadly nothing you can do and it will test every inch of your self-worth to not react and hold your head high. We all make mistakes and sometimes do things we regret, but gossip makes us pay for them unfairly and in excess. Be gentle with yourself and with others, and extend the benefit of the doubt wherever you can. Guard your privacy on Facebook and social media. While it’s wonderful to be connected with others through social media, in small expat communities it can add another dimension of invasion into your privacy. Based on my experience, I would recommend being careful of your privacy on Facebook until you’ve gotten to know someone well. You can be ‘friends’ but just limit what you share with people through your privacy settings until you know someone well. 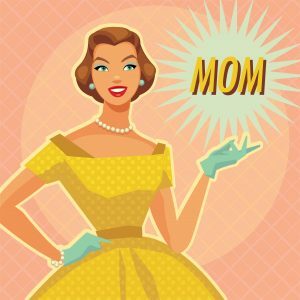 On a positive note, having warned you of some of the less enjoyable types you might come across, this article wouldn’t be complete without recognising, acknowledging and appreciating all the amazing women who have made my expat journey so rich and wonderful (thanks Jane Fitzer O’Shea for the inspiration for some of these types!). There are The Rocks (the ones who are always there for you no matter what), The Warriors (the ones who go through extremely challenging situations and come out the other side positive and strong), The Funny Girls (the ones who make you laugh so hard your sides ache), The Dancers (the ones who can rock out all night and have endless energy and dance moves), The Helpers (the ones who are always there for everybody in times of need), The Girls Who Took Up a Cause (the ones who dedicate their time and energy to abandoned pets, orphanages, hospitals and any other cause that breaks their heart) and the No Nonsense Ones who aren’t afraid to offend and tell it like it is. These types will be your saviour and get you through many a challenging period! Treasure them as they will become your friends for life. 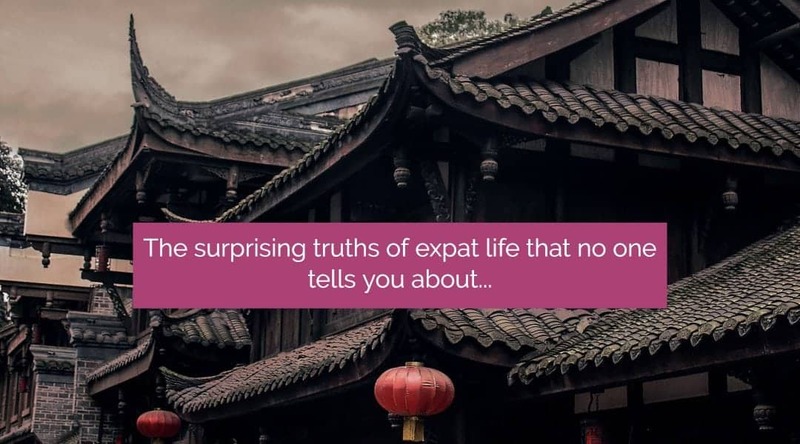 It’s my sincere hope that this insight and guidance helps you have a harmonious and fun-filled expat journey, and avoid much of the struggle myself and others have gone through! Being an expat is a once-in-a-lifetime experience that you will treasure forever.